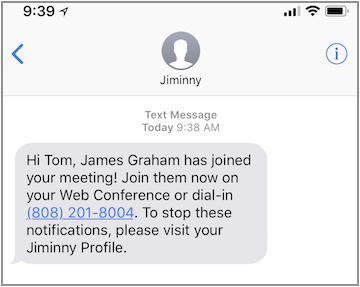 If an external guest enters your conference room before you join, you can chose to receive an SMS from Jiminny. When a guest joins your room and you, as the organizer, are not present, we'll send you an SMS if this notification is enabled. This alert makes it easy to join your room quickly or dial straight in by clicking on the number.